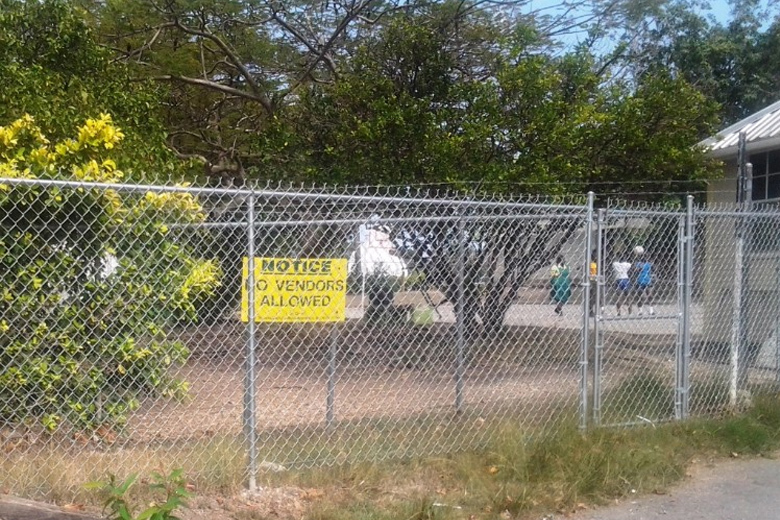 A NO VENDORS ALLOWED sign erected at Parkinson Secondary School in the Pine, St. Michael, Barbados was spotted by the Heart & Stroke Foundation of Barbados recently, at the entrance of a local secondary school. The Heart & Stroke Foundation supports this fantastic move by Parkinson Secondary School in the Pine, St. Michael. This action reduces the quantity of vendor providing poor food choices to children, which is very important with the increase of childhood obesity issues. Also commendable is that the students have some form of physical activity. In what is considered the “Trinity” term, the primary focus is to concentrate on book-work, however this must be continually balanced with exercise. In order to have the best chance of success, each student must have a significant form of exercise as well as responsible eating habits. Other school institutions need to take a similar approach in helping to tackle lifestyle diseases. There are still a significant number of vendors around other schools who feed children with sodas and unhealthy food snacks. This needs to STOP. said Mrs Gina Pitts the CEO of the Heart & Stroke Foundation of Barbados.